Chef Gaetano Di Benedetto is a native of the lush coastal town of Bagheria, located near Palermo, Sicily. He began as a kitchen apprentice in Palermo in 1978 and is a graduate of the prominent IPAS professional culinary school in Italy. His cooking career spans three decades, maintaining the title of Executive Chef since 1989 at restaurants throughout Italy, as well as France, England and the US. While still in Sicily, Gaetano served as Chef at the oppulent Villa Paino, where he was accorded the honor of preparing state dinners for the Presidents of Italy, Francesco Cossiga, and Oscar Luigi Scalfaro. After leaving Sicily, Gaetano worked in such culinary capitals as London, Paris and Milan. Chef Gaetano is a recent recipient of "Ospitalita Italiana" from the Italian Gov. This award signifies Gaetano's as an authentic Italian restaurant, 1 of 600 in the entire world! 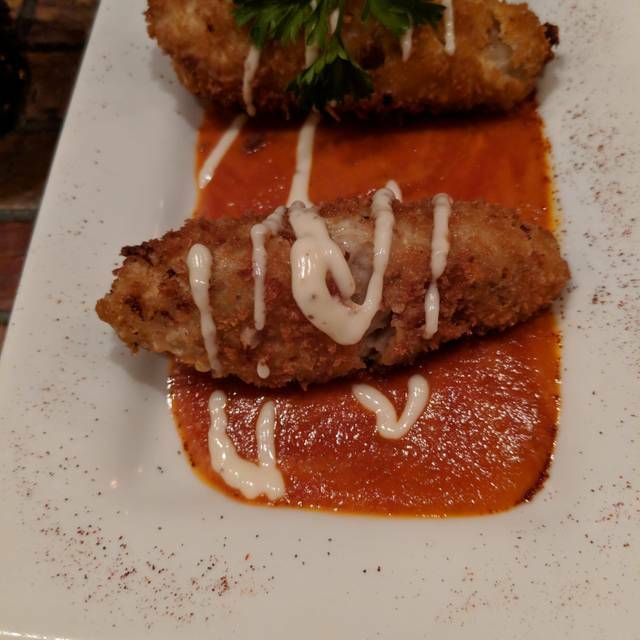 You will only find fresh, natural and homemade dishes at Gaetano's. Leave the thinking to us and enjoy a truly wonderful dining experience. Let us cater to your taste buds and wow you with originality, creativity, and mouth watering flavors. Highly recommended by Chef Gaetano! 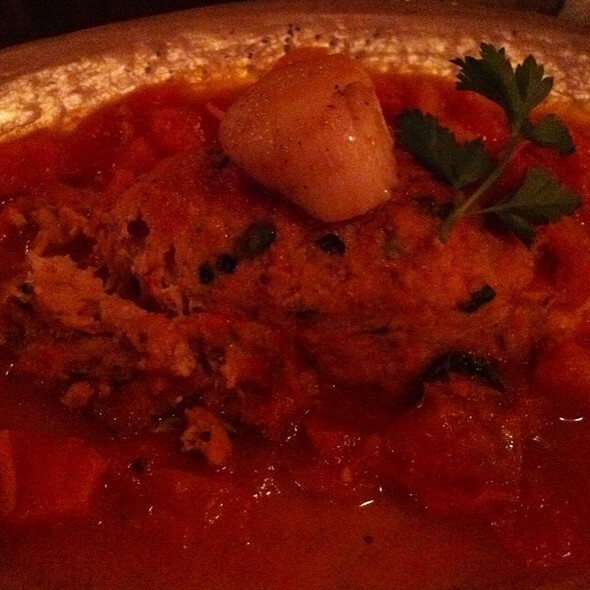 This was our first visit to Gaetano’s and we can’t wait to go back. As an Italian, I’m extra picky when it comes to Italian food. We had the calamari which was unlike any other. 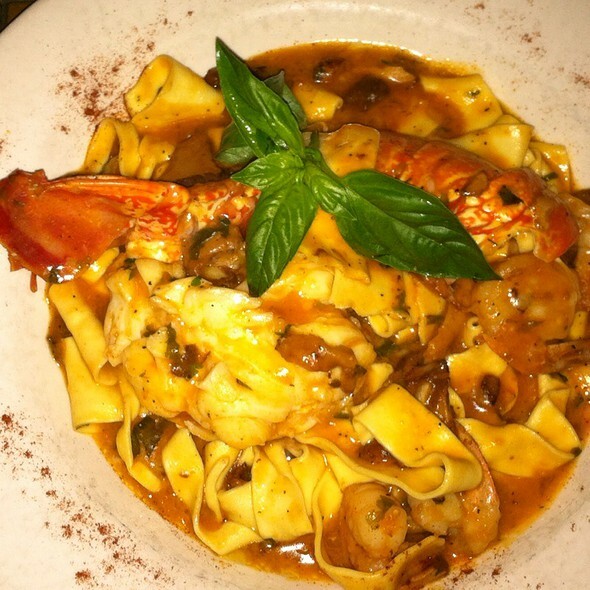 We also had the crab cake app and all of us had the tagliatelle with sweet lobster and shrimp. All were memorable! 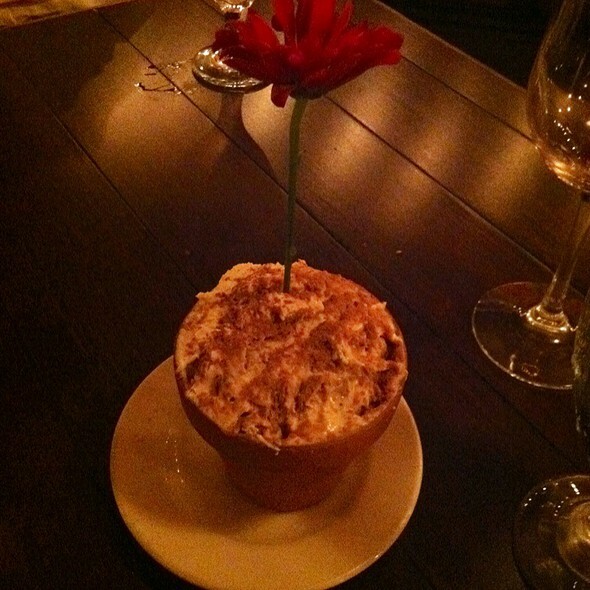 The tiramisu was creamy and the best I’ve ever had. Their limoncello was the perfect end to our meal. Our Italian server took excellent care of us too and he made our experience fun! 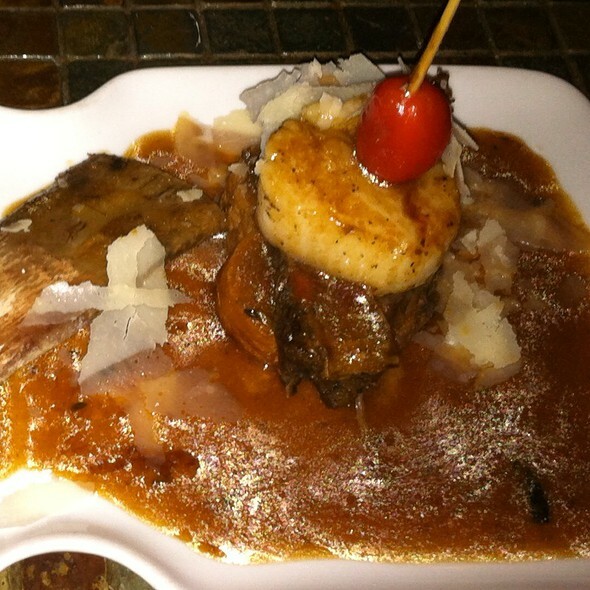 Gaetano’s is a must visit Italian dining experience over-and-over again! Ciao! So nice to go to a place with a changing menu that is not the same old same old. Everything was super delicious and the lemonchello was great! Without a doubt, our favorite place to go. Not only is the food amazing, but the atmosphere and staff transport you to the wonders of Italy. Always a treat. I had special requested a good table when I made the reservation on OpenTable, and we were seated in the back room, which I didn't even know existed. It was quieter than the main dining room. We had the chef's tasting, and it was amazing. The wait staff was very attentive and knowlegeable about the wine pairings and the food. When you do the chef tasting, they ask you about any allergies, but also likes/dislikes. My friend and I both are not huge fishy-tasting fish eaters, so that was accommodated in the fish course. We had really delicious scallops and some mussels, both were melt in your mouth tasty. The sauces, the unexpected flavor combinations - it's all really on point and really tasty! I think the last course (braised beef) was the best thing I've ever eaten in my life. The only tiny bump in the whole night was the people at the tables next to us were weird - one couple having what sounded like a divorce conversation, ending in her crying, the other mom/son table that sounded like they really didn't know what kind of restaurant they had walked into, there were so many questions/demands/special requests being made I felt like our table was an island of sanity in the middle. Of course there is nothing the restaurant could've done. The wait staff handled both situations expertly. I can't say enough good things about this restaurant - AND I learned Chef Gaetano also donates his time/talents to local fundraisers, which makes him a hero in my eyes. How amazing! Now if I could just get a better paying job to be able to eat there more often!! It was a great meal and really nice night. Service and Food are outstanding. We went to celebrate Gaetano’s 11th anniversary at this location. There was a special menu is at a price of only $45/person – truly a great value with 7 apps, 1 shared pasta, an entrée, and of course dessert. Now the words become difficult. I know the English language but not the words to describe this great meal. Each component on its own would be worth my praise. Together they complimented each other. The pasta dishes were cooked to perfection (oops I guess I do know some words to describe the meal). So worth going here as you will not be disappointed. Most expensive Italian restaurant I've ever been to - higher prices than New York! Still, food was very good. Just seems a little pricey for Forest Park. My husband and I celebrated his birthday at Gaetano's. Our waiter suggested the special tasting menu which was only available through the end of the month. It included a number of different appetizers, a pasta dish and a main dish and 2 small desserts. Every item was extremely delicious, one of the top meals we have ever enjoyed. It was our first time there, but it will not be our last, despite the fact that we do not live close by. Highly recommend. My wife and I were celebrating a couple of items in our lives. We had been to Gaetano's (Forest Park) on a few other occasions... every time a wonderful experience. We are never able to select from the menu, so we opt for the "tasting" menu. And it could not be more wonderful... the food, and the service are without equal in the immediate area. Definitely a "go-to" restaurant for anyone wanting an exceptional experience... and will be going back. A great little restaurant with AMAZING food! The scallops were the BEST! The service was spot on...attentive but not hovering. Special dietary restrictions were accommodated easily and with a smile! Always enjoyed dining experience at Gaetano’s for its consistent excellent food and service. The tasting menu was delicious! Gaetano’s is my favorite restaurant for date nights with my boyfriend. The service is truly amazing and the food is impeccable. They make you feel like family and you never want the meal to end. We have gone to Gaetano’s many times and will be back time after time again! Good food. Fair service. Terrible parking. Incredible food and superior service. Table side pasta preparation by Gaetano himself was a special treat. We thoroughly enjoyed everything. Great food. You have to know it to appreciate it...but then maybe just tasting the flavors allows the amateur foodie to know they have found a gem. Been following this Chef for years. He only gets better. The service, Francisco as well as all the others, the restaurant, and just being around people that know how to appreciate good food. Gaetano is the best. Always there to say hi and welcome you. Gaetano is so talented, I'm always so happy after a meal there. I had the branzino with am eggplant caponata, and my husband had a short rib with saffron risotto. Both had a beautiful presentation and were cooked perfectly. 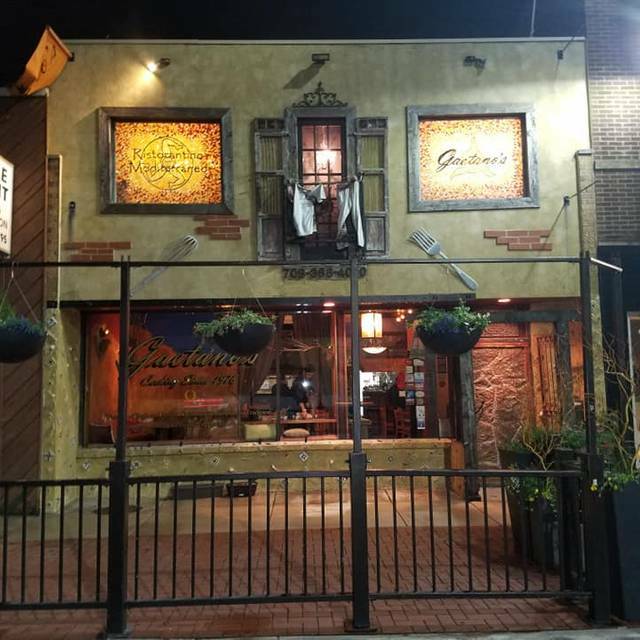 We have been to Gaetano's many times and it is always a great evening. The food is always wonderful. The staff are always welcoming and provide excellent service. Dave is always great and helpful with a wine recommendation that never disappoints. He is also great at helping you pick between dishes on the menu. I really can't recommend Gaetano's enough! 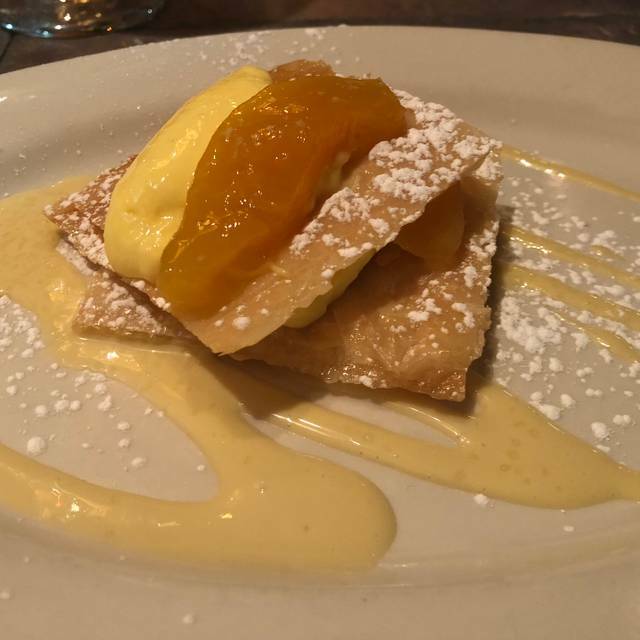 I’ve been dining at Gaetano’s for 10 years, and have never had a bad experience. Excellent restaurant with delicious food, great wine and top notch service! 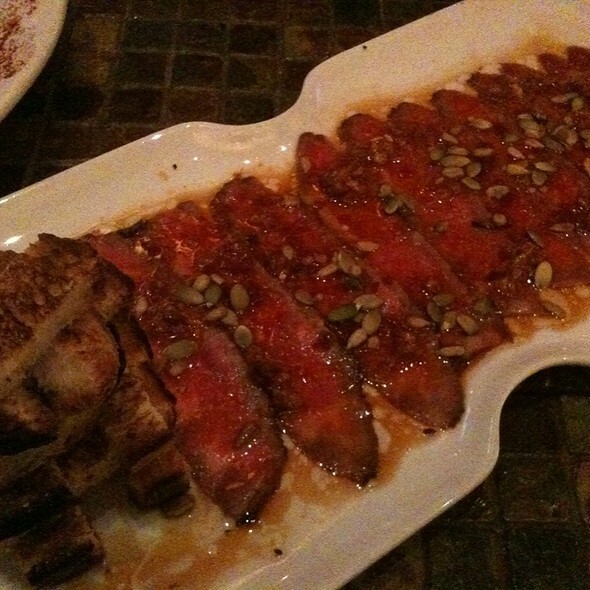 This was our second visit to Gaetano's and we were pleased with the service and the food was excellent. We like our red wine chilled more than others and we were very appreciative for the restaurant to have our first bottle of wine chilled in advance of our seating. Our second bottle of wine was the Super Tuscan and they found a way to get it cold, and fast. Many thanks. Our guests were very happy with the entrees. We tried new items to compliment our first visit and we found them very very good. The scaloppine ai funghi and Rigatoni alla travesteverina were delicious. We had the dates, the cavolfiori and also the beet salad. All superb. Love this place. Love the food, the chef and everything about it! Every dish is perfection. One of Chicago area's most consistently great restaurants. Great find on Open Table! Hostess and David our waiter made us feel very welcome! Food and wine were delicious! Looking forward to going back soon! Always a great experience. Dave and Chef Gaetano make you feel like family. Fantastic!! It was our first time visiting, and we loved everything about it. The ambiance was charming, the staff was incredibly attentive. And the food was stellar!! The chef came to chat with us and was absolutely wonderful. A Perfect evening! My husband and I had dinner here to celebrate an anniversary. When we first got there, there was maybe two tables filled and we were seated at a little table in the corner of the restaurant at 6:15 in the evening. My husband and I ordered a couple appetizers, two different cups of soup and our entrées. My husband ordered a ribeye steak for dinner and I had a fish dish that was prepared table side priced at $30. By 7:00 or 7:15, it looked like the place was busy and every table plus seats at the bar were filled. When my husband’s steak arrived, the waiter said he’d be right back with his steak knife ... and never returned. After 10 or 15 minutes my husband had to get up and go ask for his steak knife himself. I was still picking bones out of my fish for the remainder of my meal after the server made a show of cleaning it at our table. For $30 I would’ve been happier with having my fish fileted properly in the kitchen and then served to me at the table. Our waters were filled at the beginning of our meal and then didn’t get checked again until the dessert course at my request. Both of us ordered dessert. I ordered a standard bread pudding that was dry and unimpressive. I get the impression that the minute they got busy, the wait staff forgot about us and focused on the subsequent patrons that arrived. We wanted to try a new place and that’s why we came here, but for the amount of money we spent, I don’t feel we got our money’s worth. We were a bit disappointed. Next time we’ll try someplace else. We absolutely love Gaetano's!!! I have a large family and Gaetano's is ALWAYS able to accommodate us and the food and service are incredible!!! The first time I went there was when they were located on Circle in Forest Park and we all had the chef's selection - amazing! Monday night we were celebrating my parents 63rd wedding anniversary and again, Gaetano's was AWESOME! Thanks for providing "downtown" dining in Forest Park! The food is always great. We got the chefs tasting menu which was excellent a mix of old favorites and some new dishes. Service is also excellent. We love chef Gaetano, Dave, and the staff at the restaurant. Gaetano creates the best dishes and Dave picks the best wine pairing. The staff provides great service. My husband's water glass is always full! We've traveled to Italy, but this is best Italian food we've eaten. The food was just ok. I honestly feel like I could’ve gotten the same meal for half the price. They served bread and hummus with olive oil which really threw me off. Didn’t scream Italian to me but maybe I just haven’t been exposed to that Italian style before. The decor was over the top for me. It was like, hey, I’m an Italian restaurant so let’s make it look like Tuscany in here but in the most cheesy way. The dessert menu was blah. My waiter was great though. I believe his name was Greg. And the wine was delicious. Overall, I don’t think it’s worth going back. Outstanding food, wine and service. Wonderful night out with friends. The food, ambiance and service were absolutely upstanding. I could not have asked for a better birthday dinner. Outstanding restaurant. The food is outstanding, and the service is fantastic. It’s a little gem in Forest Park.